Today’s opening WorldSBK race at Assen has been delayed due to plummeting track temperatures mixed with intermittent snow. This morning’s free practice three was held with the track at 3°C - two less than Pirelli recommend - and it is currently not much higher than that. Light snow began to fall at the Dutch track at midday and although it is not settling, the track will not dry either, which makes it too dangerous in very cold conditions. 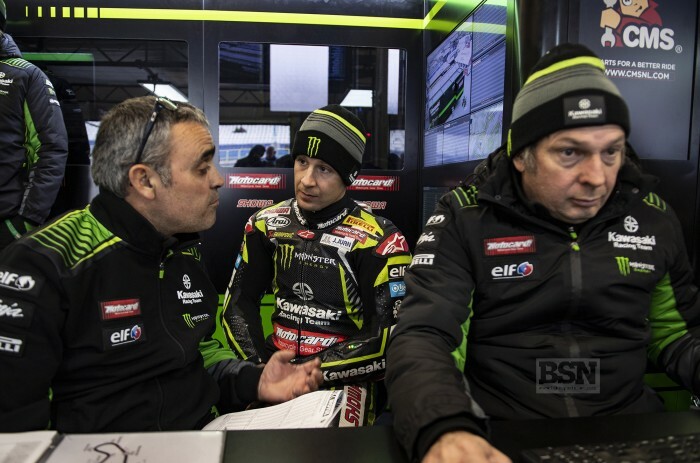 Reigning champion Jonathan Rea said the clever choice needed to be made and that he would be happy to race three times tomorrow, an opinion which was backed up by local hero Michael van der Mark.